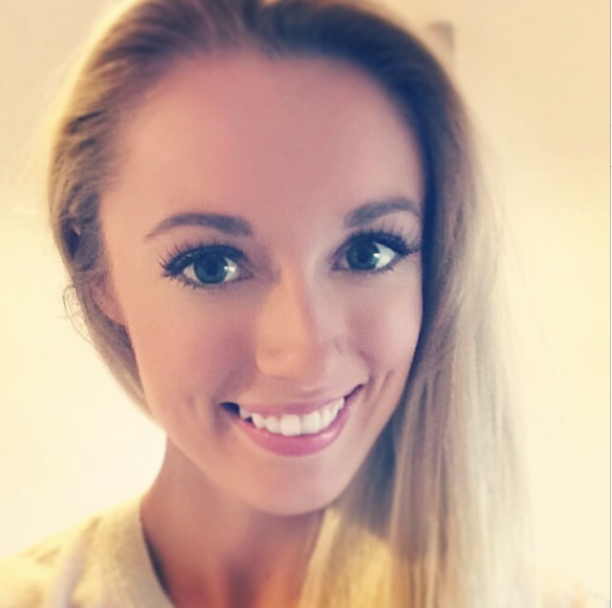 I absolutely love false lashes – they make such a difference to your look and, once you’ve practised a few times, they become easy peasy to apply. For instant glamour in the day time there are some beautiful natural options, as well as bold full lashes to add drama to your evening look. 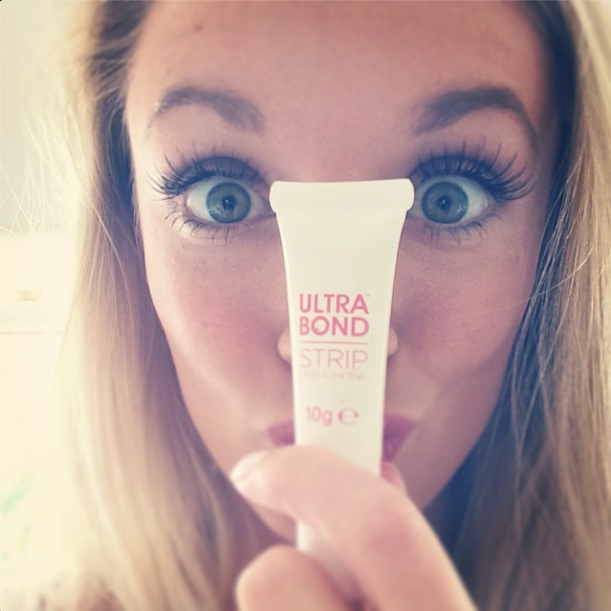 When Amazing PR contacted me to ask if I’d like to take part in the #UltrabondChallenge, to use the Ultrabond Strip Lash Adhesive with Nouveau Lashes over the bank holiday weekend, I jumped at the chance! Friday night, home from work and the lashes are on ready for a night out with the boyfriend – we headed to Red Dog Saloon before watching The Other Woman at Clapham Picture house. The Nouveau lashes are incredibly natural looking so I didn’t feel too over-done for a chilled evening. I used the Naked3 palette to create a shimmery base, and skipped the eyeliner – worrying I would have trouble removing it later without taking off the lashes! Saturday Selfie! I would never usually dream of posting a selfie of just my face, but I was just too darn excited to see that the lashes had lasted the night! I was quite careful in the shower and when using cleanser, but the lashes still look fresh and lovely! During the day, I did some uber-glamourous gardening, before heading out for cocktails and food with a girlfriend in Covent Garden. Sunday Selfie! As you can see one of the lashes is starting to peel in the corner, and Sunday was officially the day that we could take the lashes off. However I thought why not push them to their limit and wear for just one more day?! After baking some delish Mojito Cupcakes in the day (recipe coming soon!) we headed to a friends BBQ, where my eyes were constantly streaming from the smoke – but still the lashes didn’t budge! And here’s the pic that I instagrammed this morning, the lashes are peeling in the corners a little more, so it’s time to take the lashes off. It’s unbelievable how long these lashes have stayed put, and they were just as easy to put on and take off than any others. 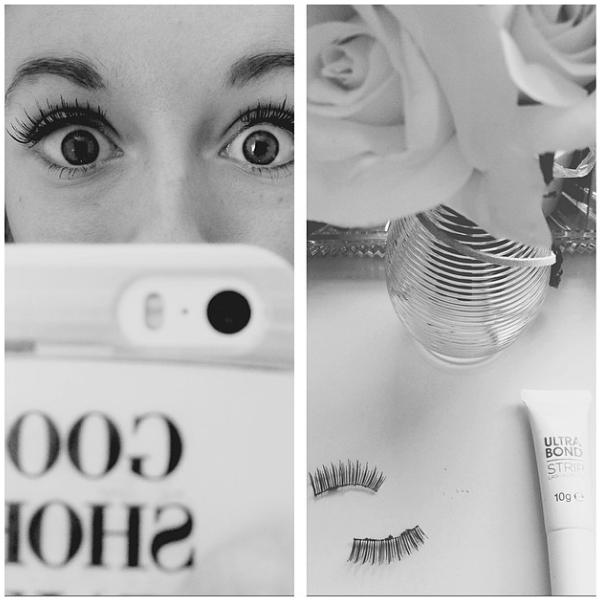 Personally, I’ll stick to wearing my lashes for just the one evening as I love the feeling of a totally clean face before bed (and some traces of makeup do get stuck to the glue), but you can be confident that your lashes won’t budge no matter how crazy your night is if you use this glue! I’ll be taking the Ultrabond Strip Adhesive on holiday with me this summer, as it’s totally humidity proof. It would also be the ideal glue to use if you are heading to a festival and want your lashes to stay put over the entire weekend. 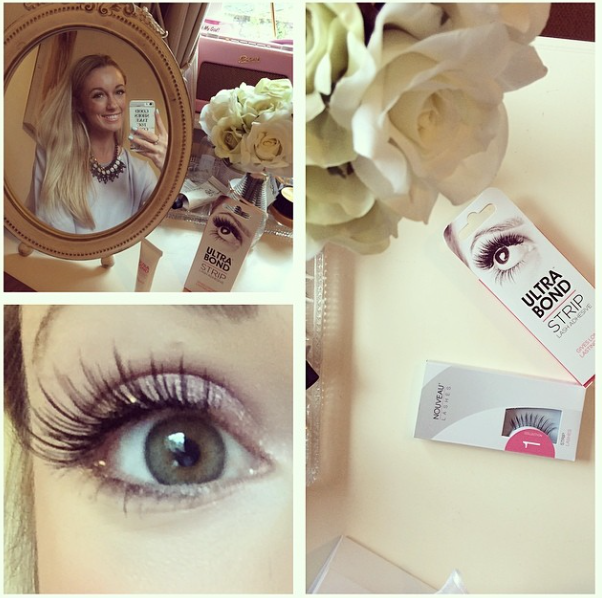 I’ve never really cared which lash glue i’ve used in the past, but now i’ll be sticking to Ultrabond – and I highly recommend you give it a try! Thanks Ultrabond & Amazing PR!